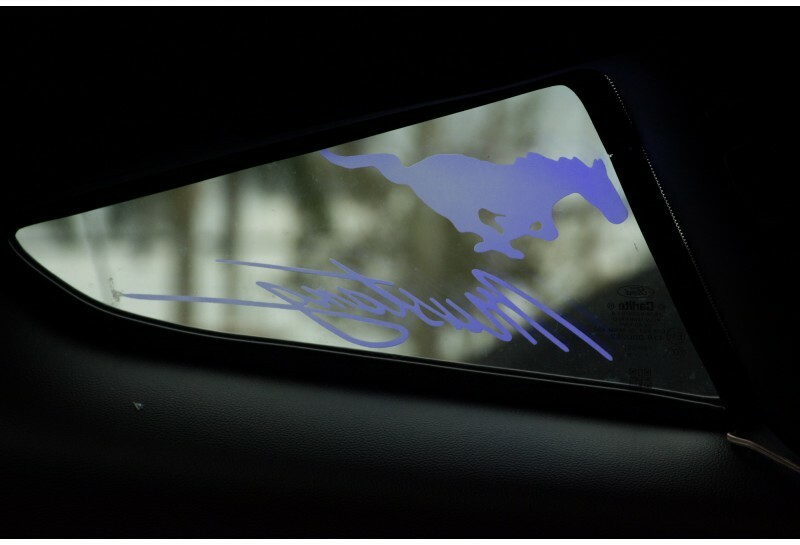 Customizable 2015 to 2018 Mustang Side Window Lighted panels. 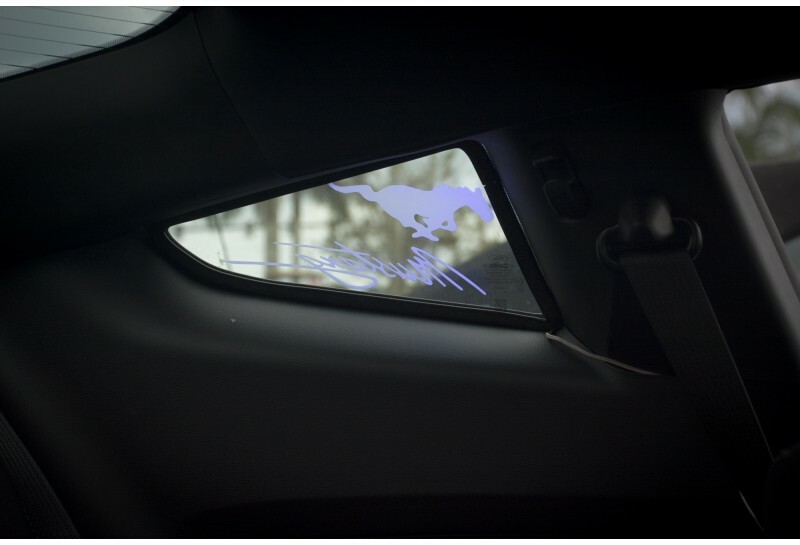 These are LED edge lit Laser cut window inserts that will make your car stand out like no other option. Custom text and or logo can be seen even in daylight at full brightness. Included dimmer can be used for night time driving. 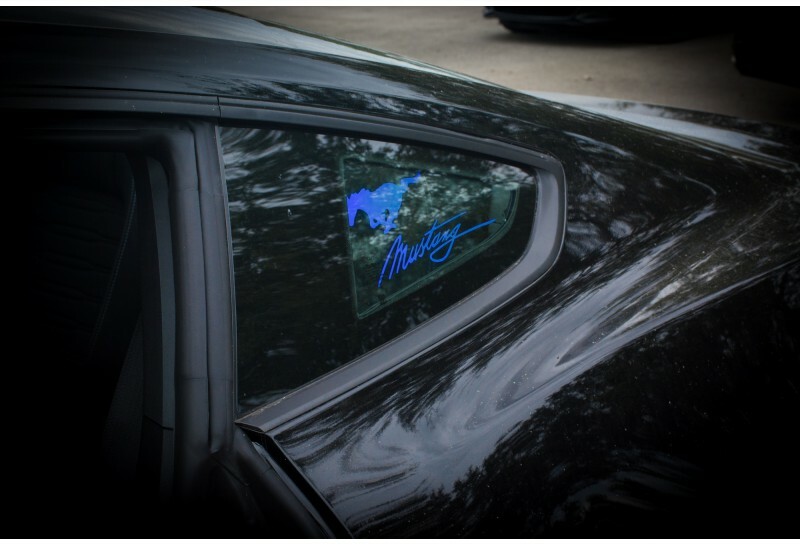 Maintain visiblity with clear acrylic. 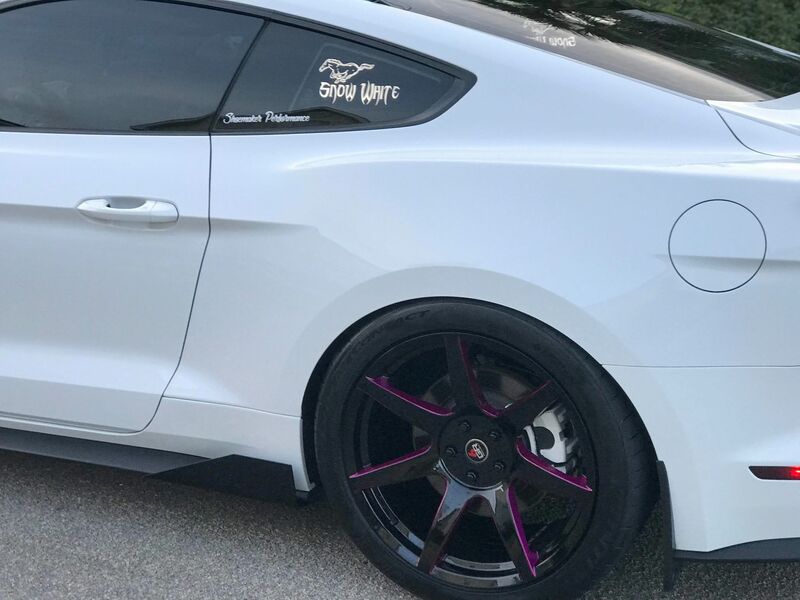 You can add your club logo and text to make your Mustang unique. Choose from a pre-selected logo and text or make your own design. Select from 4 colors. Send your vectorized logo to us to use or we can re-draw your jpg file (at a small additional fee). Included wiring harness and dimmer can be wired to come on with driving lights or hot all the time for shows. 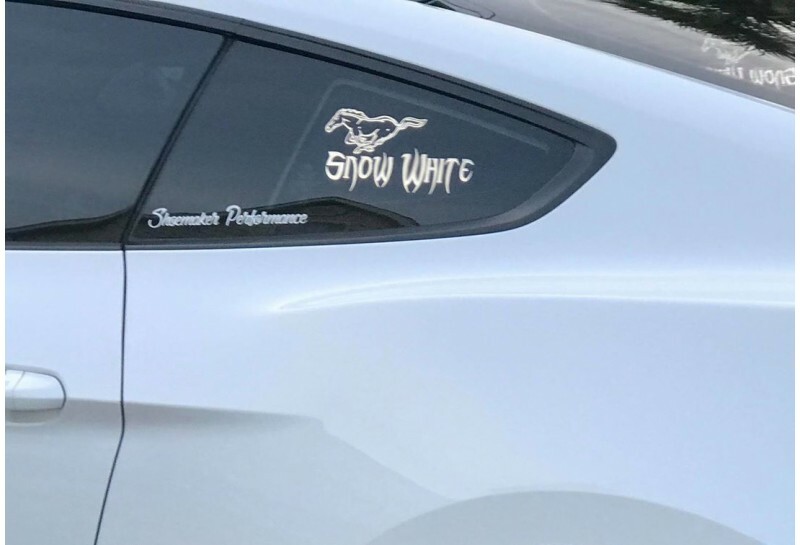 Comes with drivers and passenger side panels. 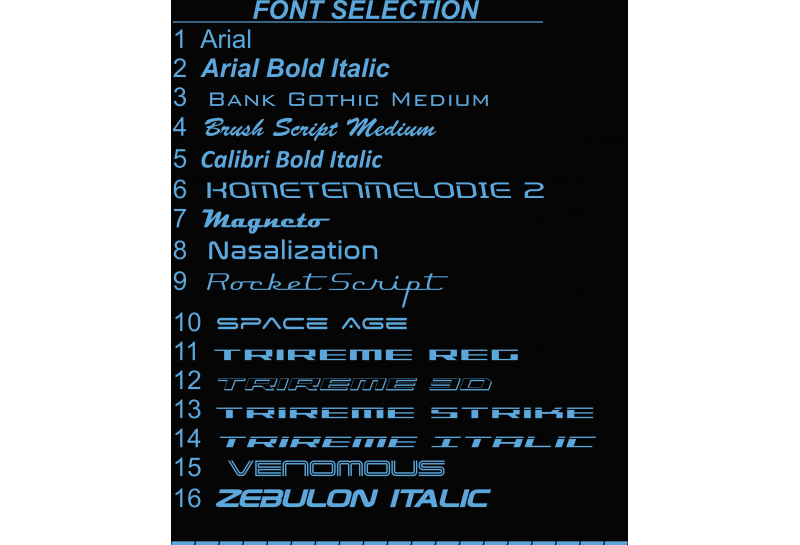 Select a graphic style and text from the dropdown list. If you have a design in mind, send it to us at graphics@3spro.com We will correspond with you and show you how your design will look before your order is complete. 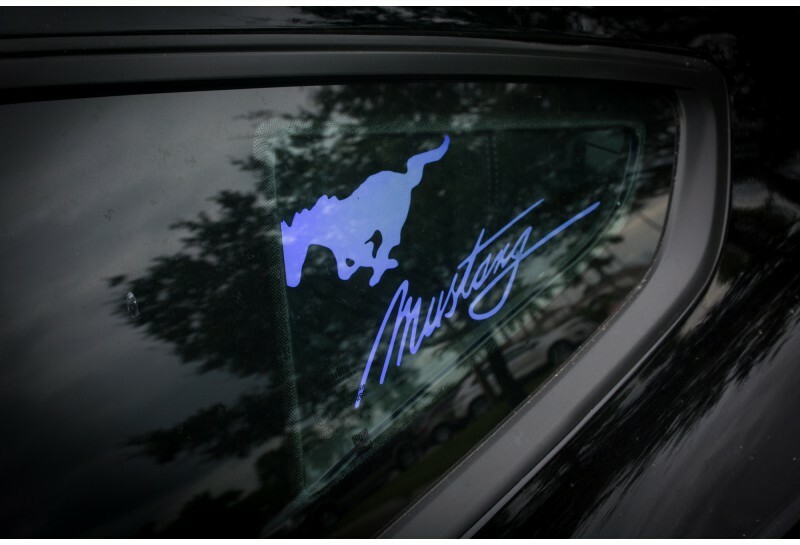 *Disclaimer: In some states it's illegal to have blue or red lights showing in vehicle windows while driving. 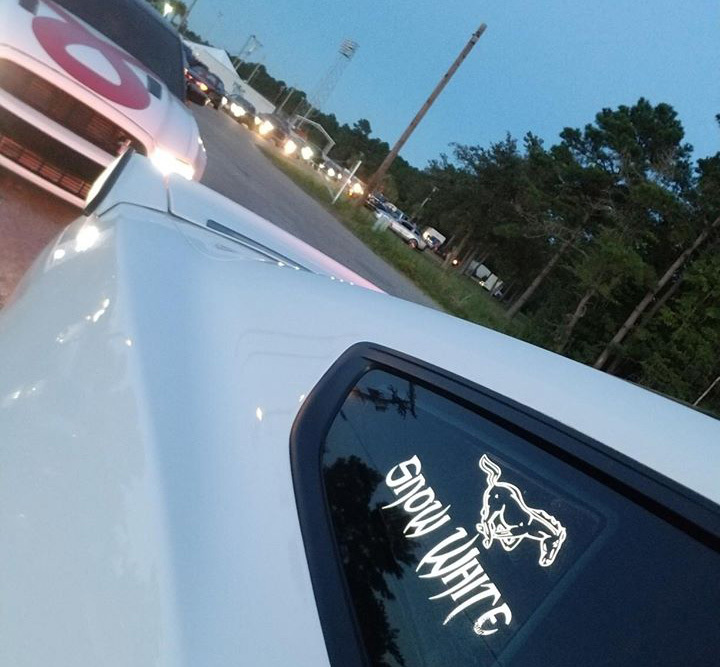 These lights are for car shows and such. 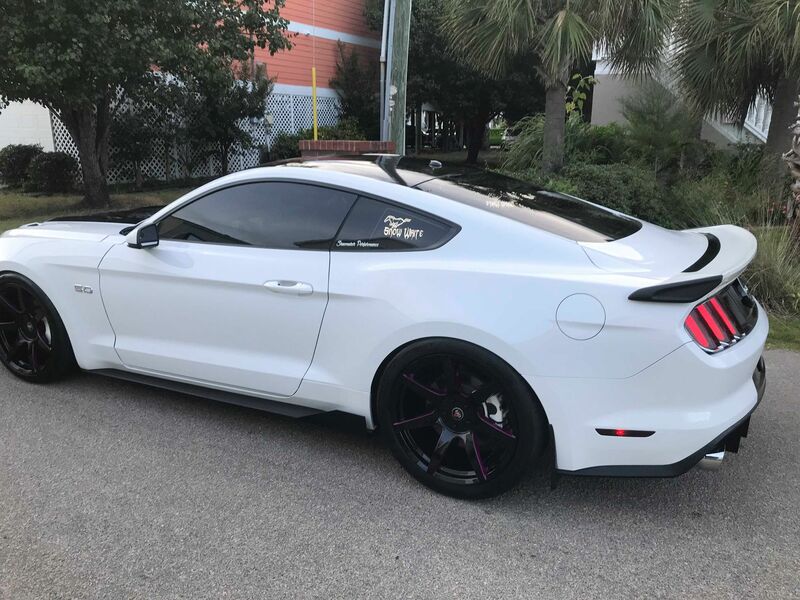 I, we (3S Pro Mustangs) claim no responsibility if used while vehicle is in motion. These are a few of the logos available. More are available and can be requested by email. If you have a custom design that you are interested in, contact us at graphics@3spro.com. We can help you with your idea and show you what it will look like before you place your order. As an option we can vectorize your club logo from a jpg file. Once we have your logo on file there will be no extra charge for future orders.